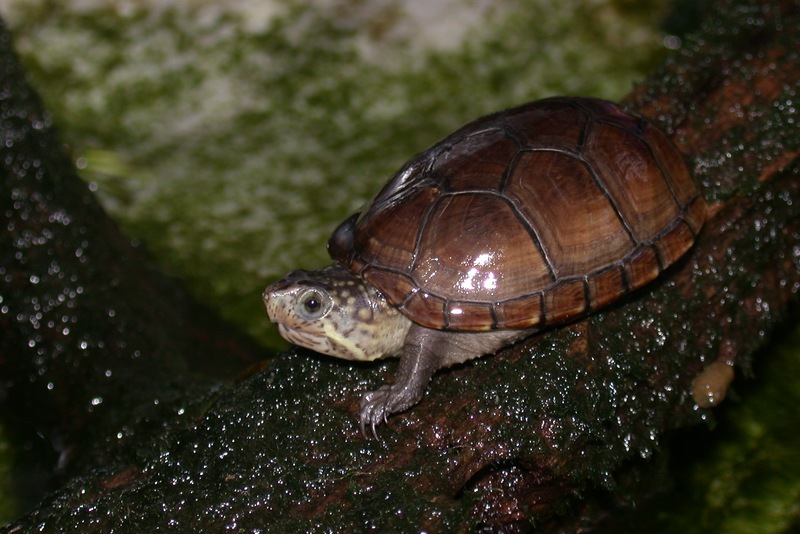 Turtles (order Testudines) represent the oldest of all living reptiles; they have undergone little change since their beginnings early in the Triassic period. 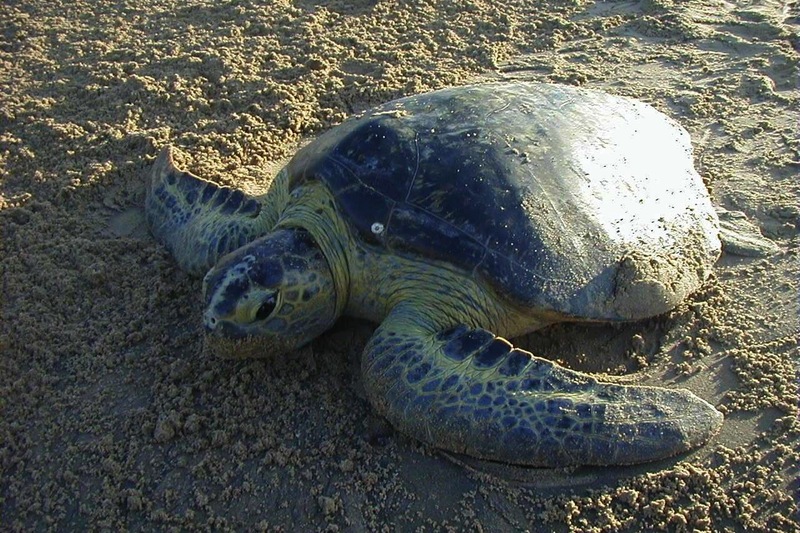 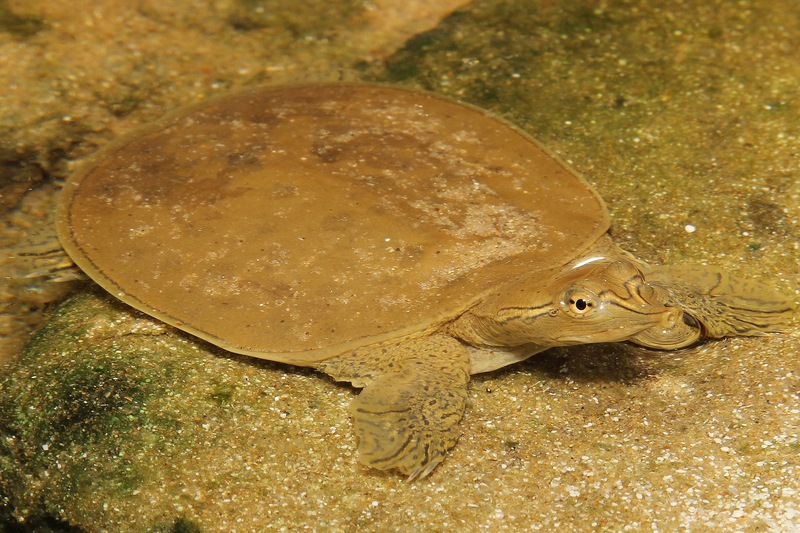 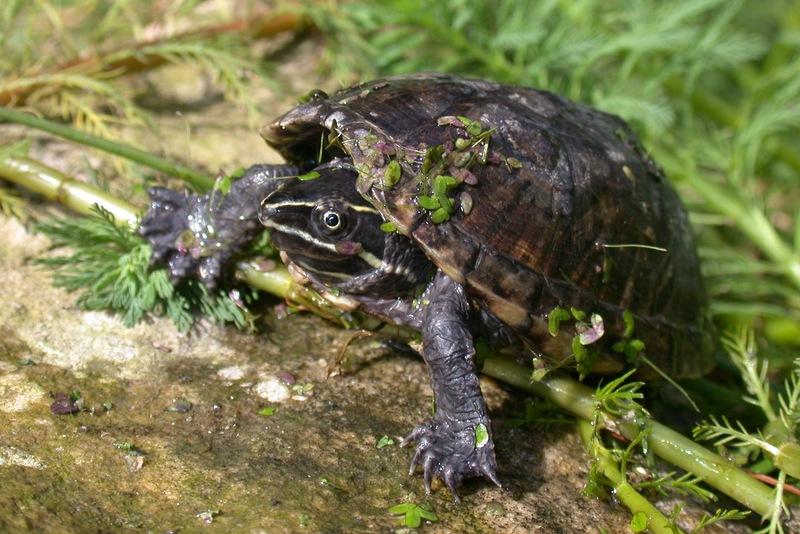 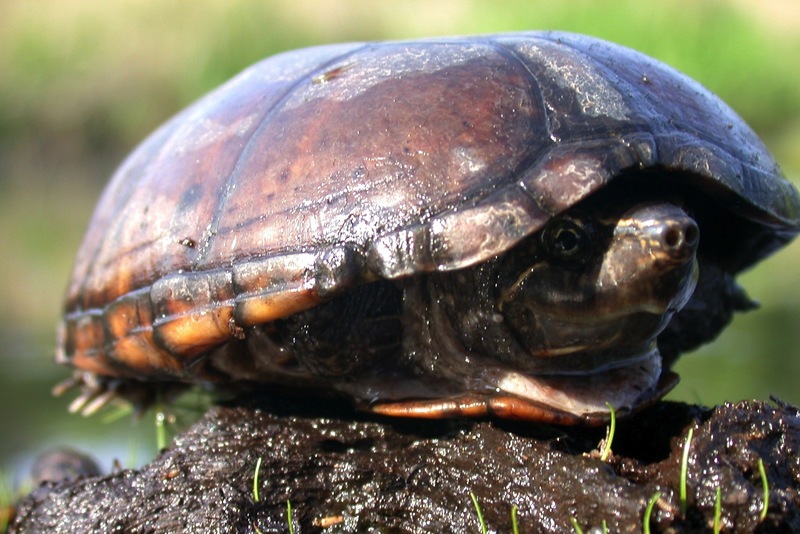 Their shell consists of an upper section, the carapace, and a lower section, the plastron. 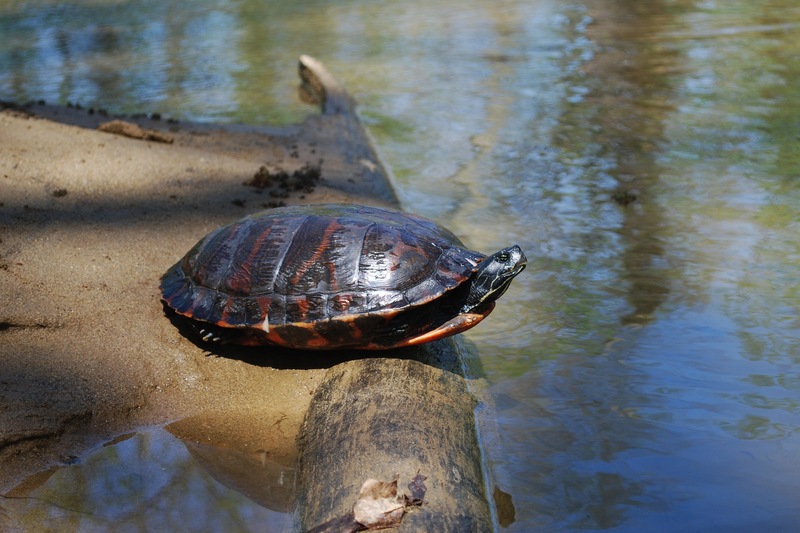 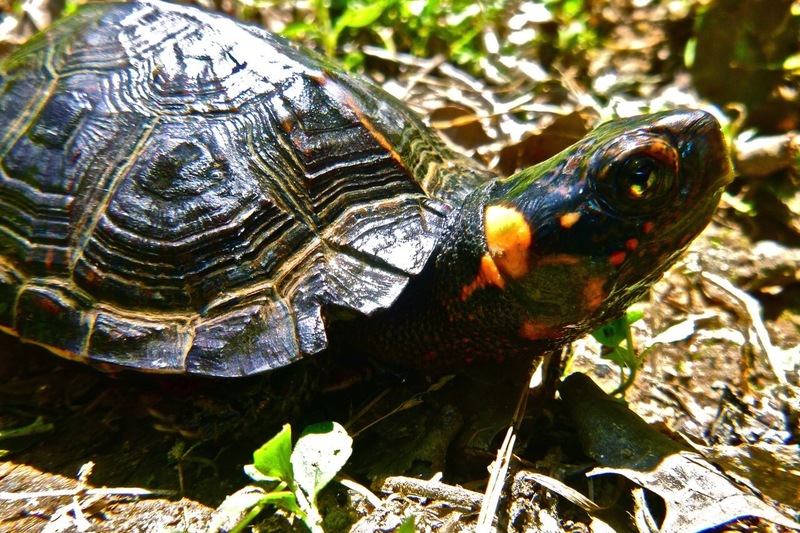 Turtles are found throughout North Carolina, from the Coastal Plain to the mountains in the west. 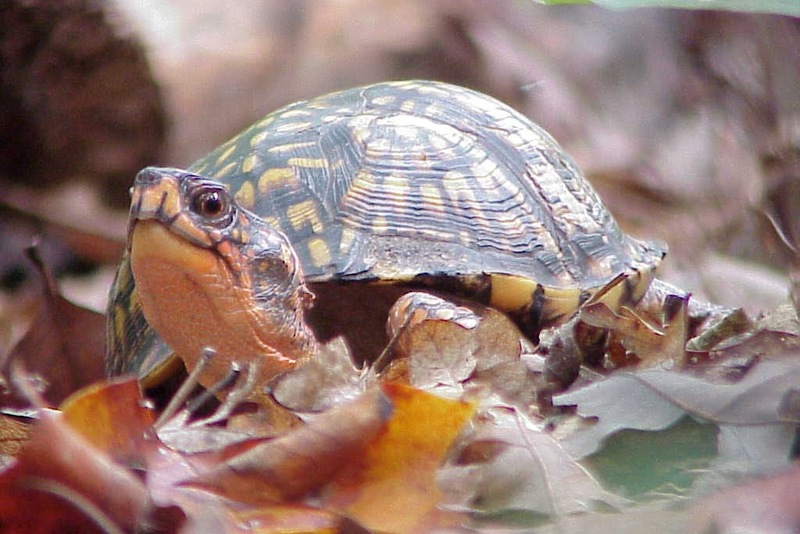 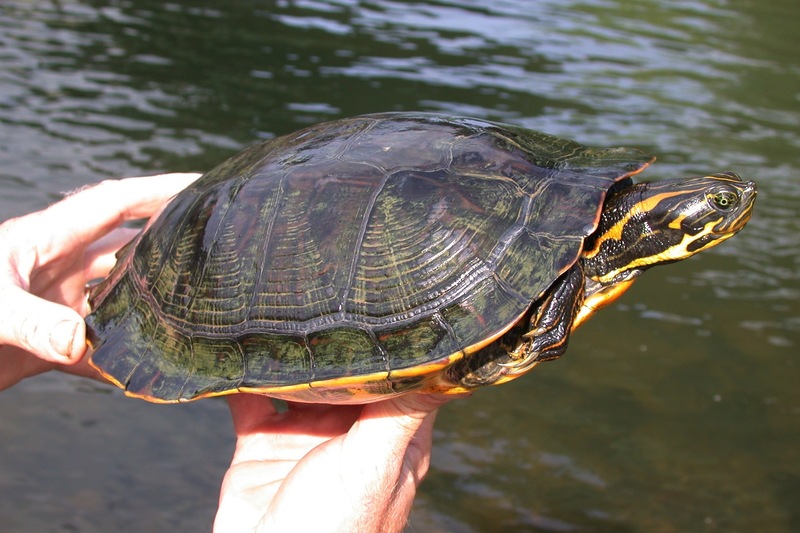 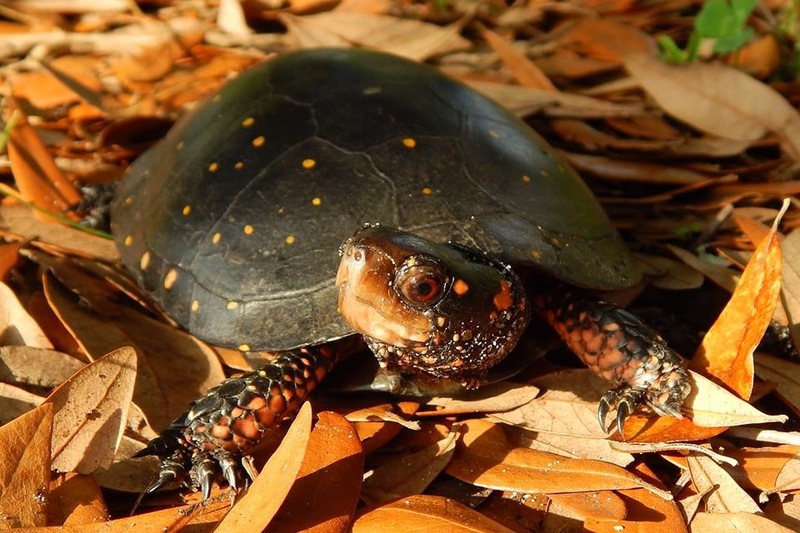 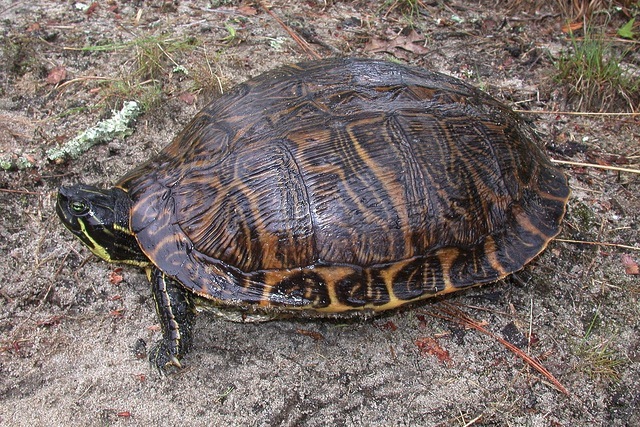 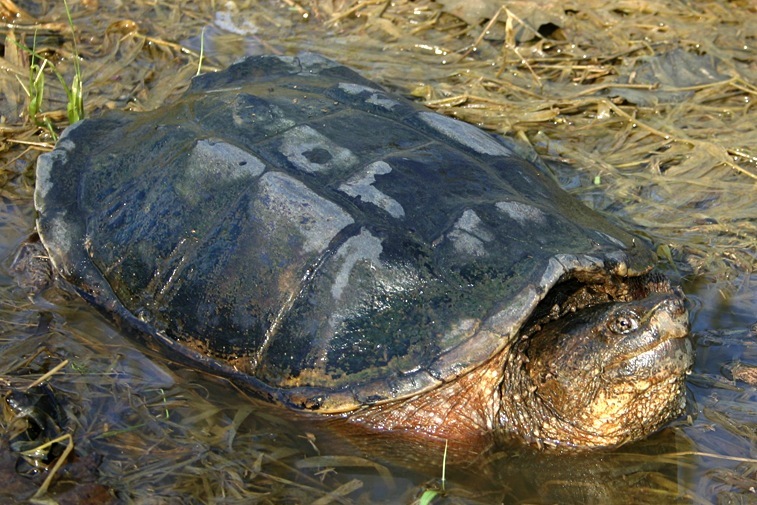 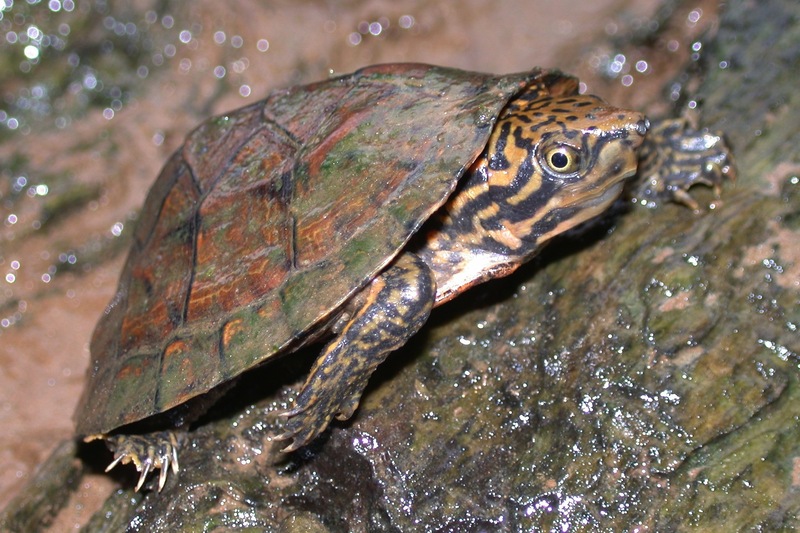 Overall, twenty species of turtles, belonging to six different families inhabit North Carolina. 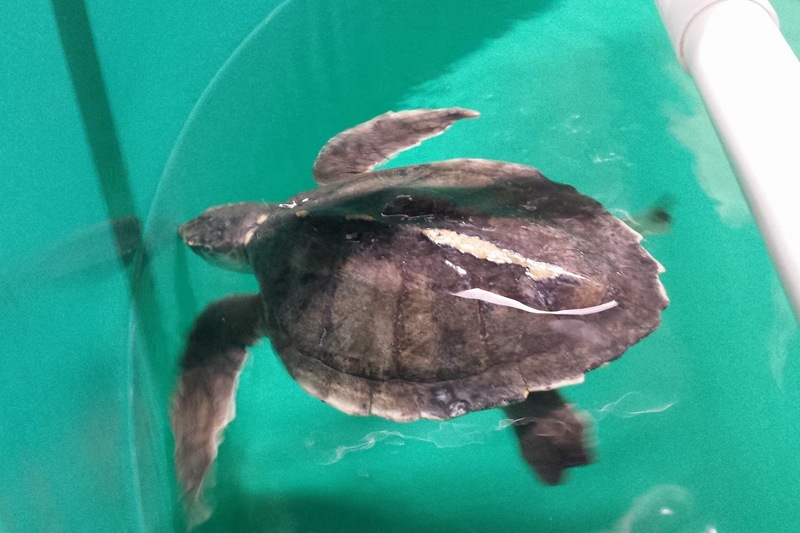 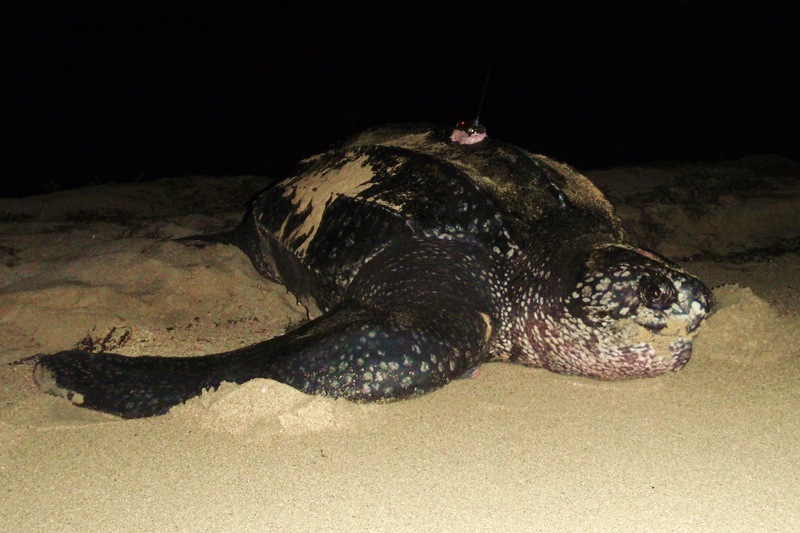 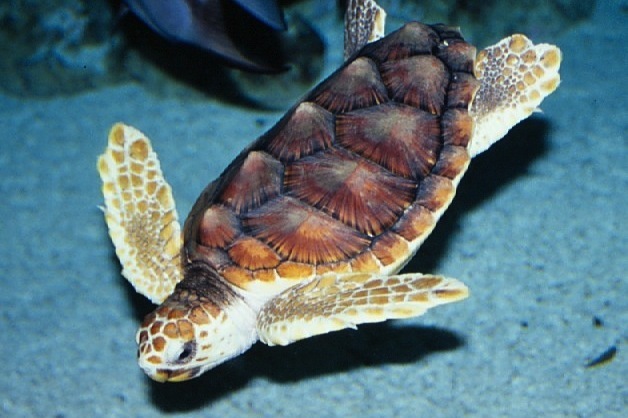 Five of these species are sea turtles and one (the Eastern Box Turtle) is primarily terrestrial. 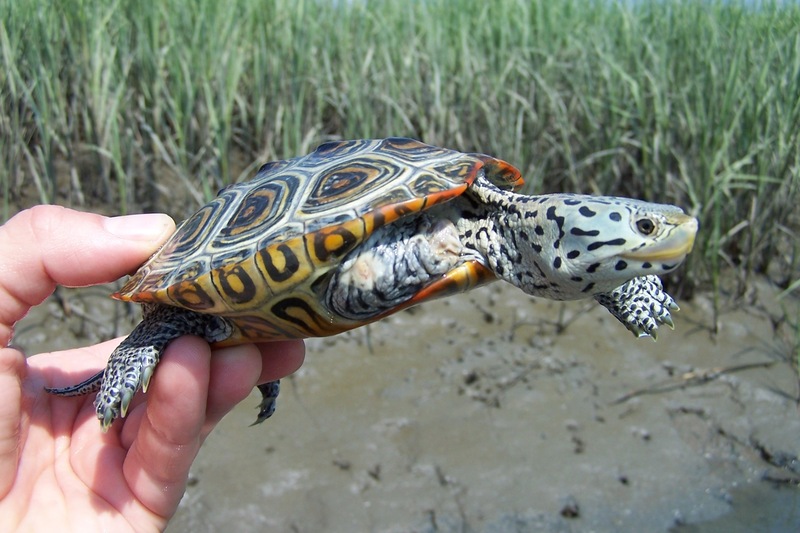 The rest are semi-aquatic, inhabiting North Carolina’s ponds, wetlands, and other water bodies. 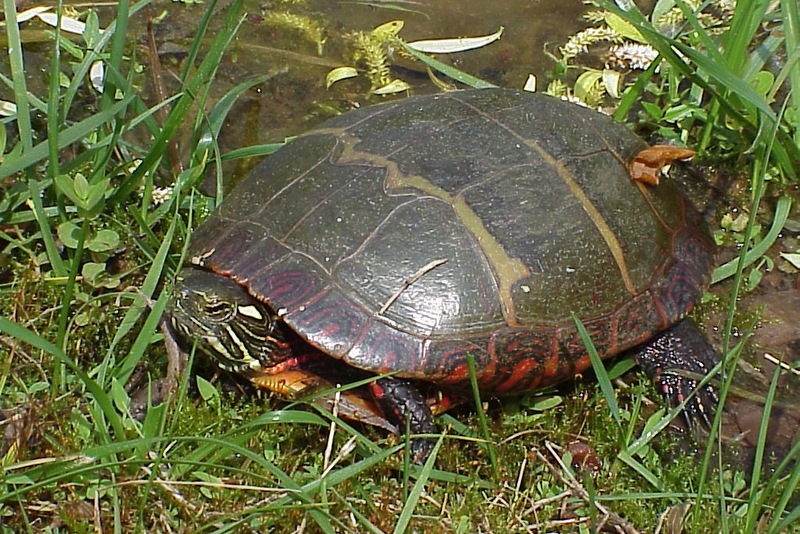 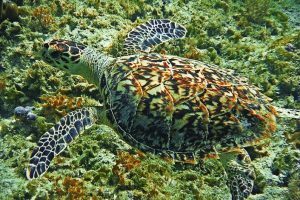 The greatest threat to turtles is habitat loss, particularly destruction and degradation of aquatic habitats. 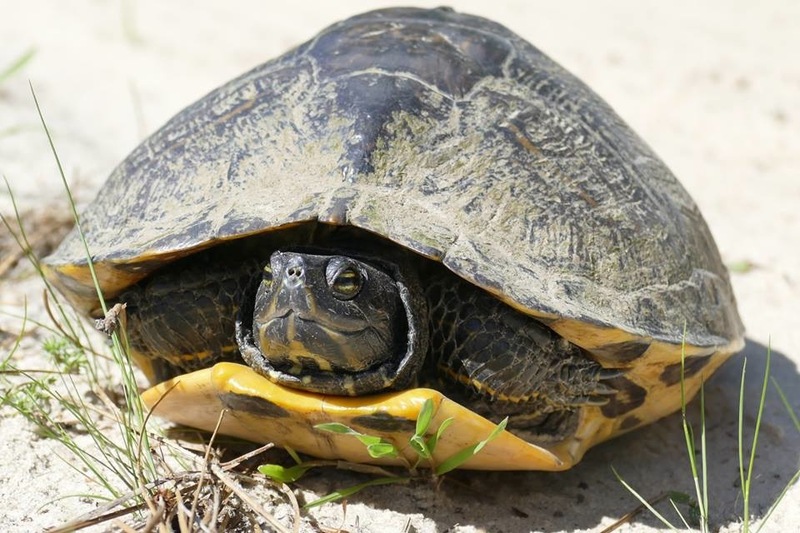 However, the destruction of terrestrial habitat surrounding wetlands and ponds which is required for nesting, and hibernation in some species, poses significant threats as well. 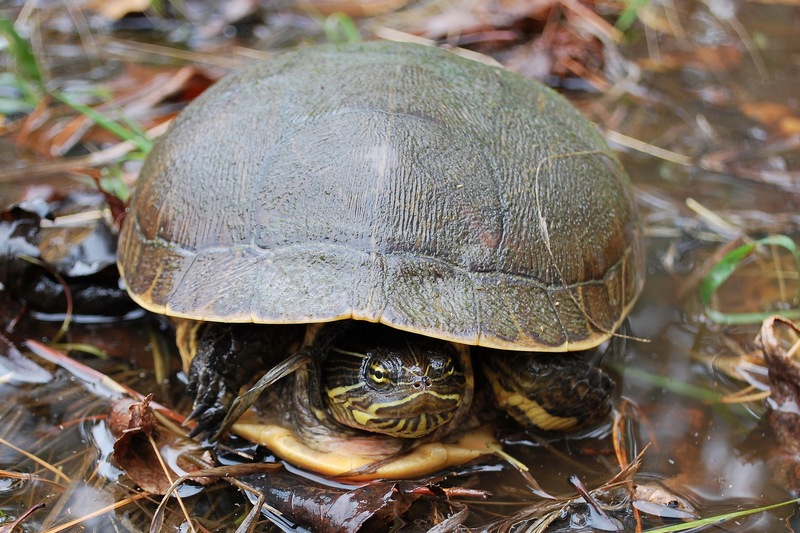 In addition thousands of turtles are crushed every year by cars on North Carolina’s roads and highways.